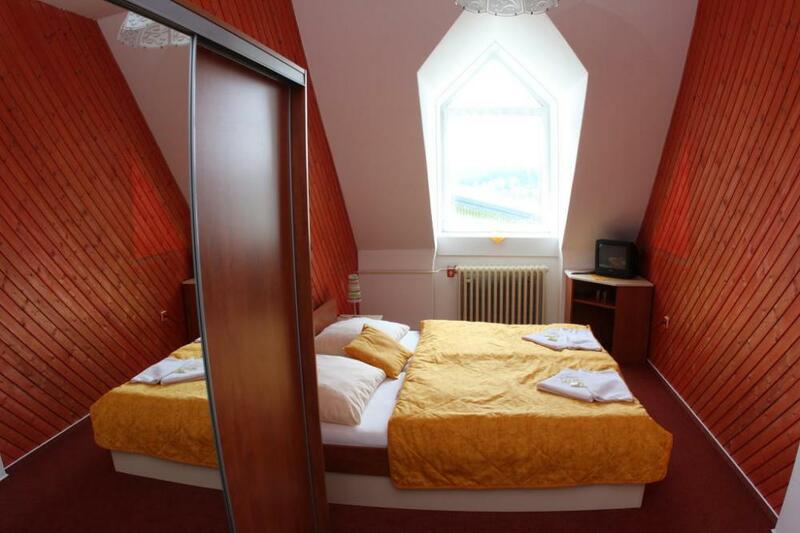 Hotel Skicentrum Harrachov *** offers you an accommodation righ in area of ski jumps, really close to chairlift station to Čertova hora, where you can get on skis from our hotel without any problems. 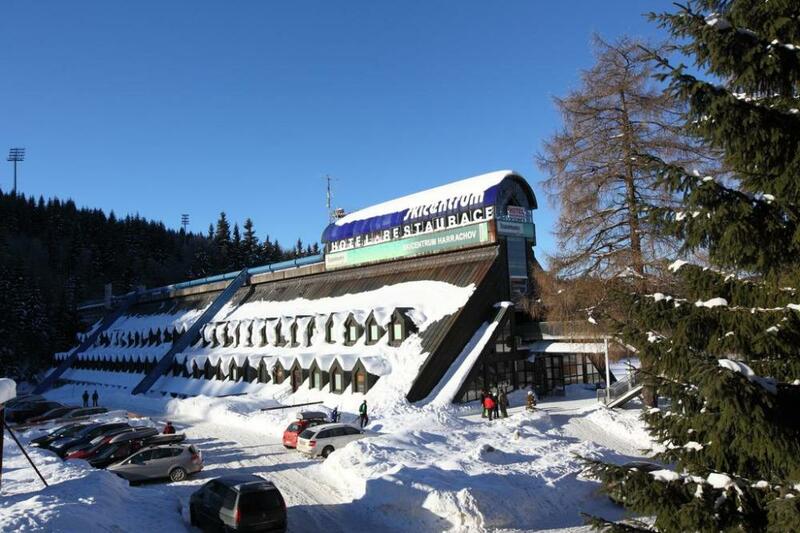 As our hotel is located in the heart of all sport venues in Harrachov, it is mainly designed for sporty and active guests seeking an active holiday experience. Cross-country ski trails that begin near our hotel connect you to the Krkonošská magistrála. In addition to the accomodation there is also our hotel restaurant which is ready to provide you a wide range of dishes, lobby bar, indoor children's playground, table tennis and billiard room, wellness center, ski school, ski rental and ski storage room. The hotel's public areas have free wireless internet access. Check in: bedrooms are available from 14:00. The payment is made in the day of your arrival. We only accept payment in CZK or by credit cards. Check out: bedrooms have to be left by 10:00. 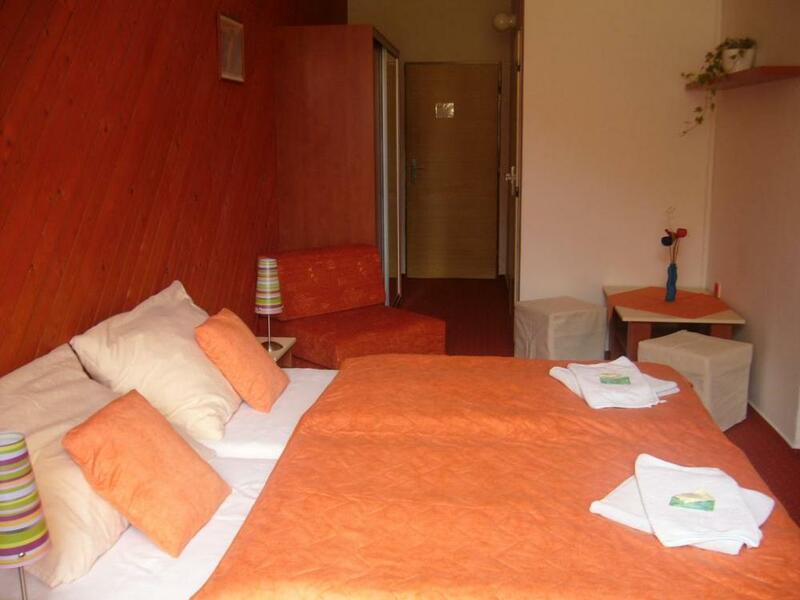 Late check out is available for a 200 CZK fee per room. For hotel guests: Breakfasts from 7:30 to 10:00 hod, dinners from 18:00 to 20:30. Lobby bar is opend from 14:00 to 23:00. Wi-fi connection is availible in Whiskey bar for free. Breakfasts are served as a buffet. Dinners are served as a buffet from 20.12. to 21.3. and are served as menus in other dates. 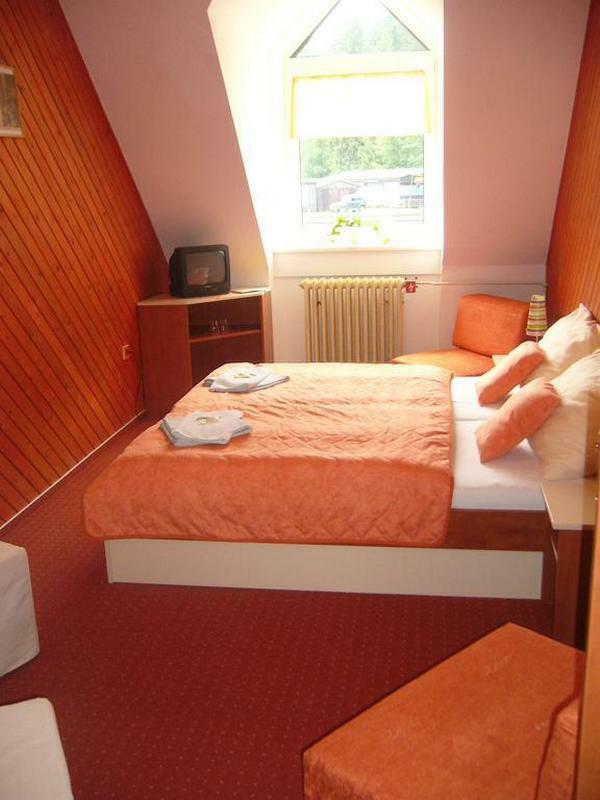 Located in the hotel is billiard for fee, jukeboxes for fee, indoor children's playground, massage chair for fee, table tennis - bats and balls on loan from reception, relax center - whirlpool, sauna, massages - for fee. Skis can be stored in our ski storage room. 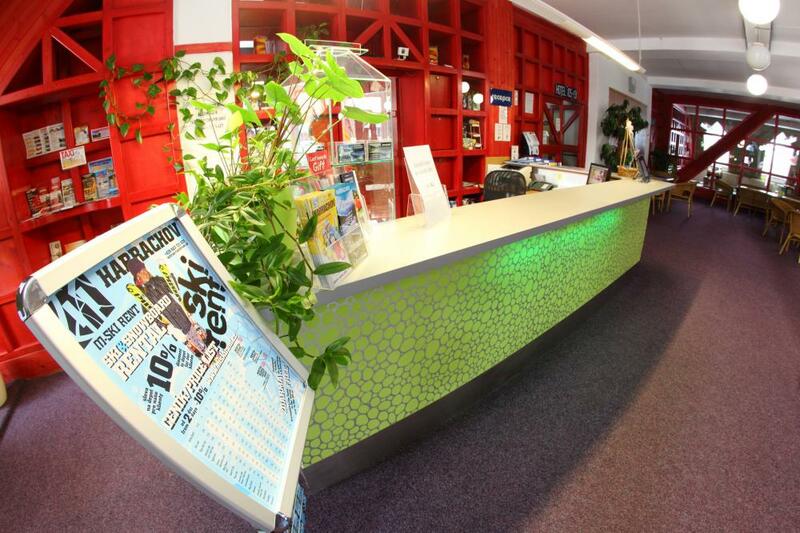 Keys and information is availible on the reception. 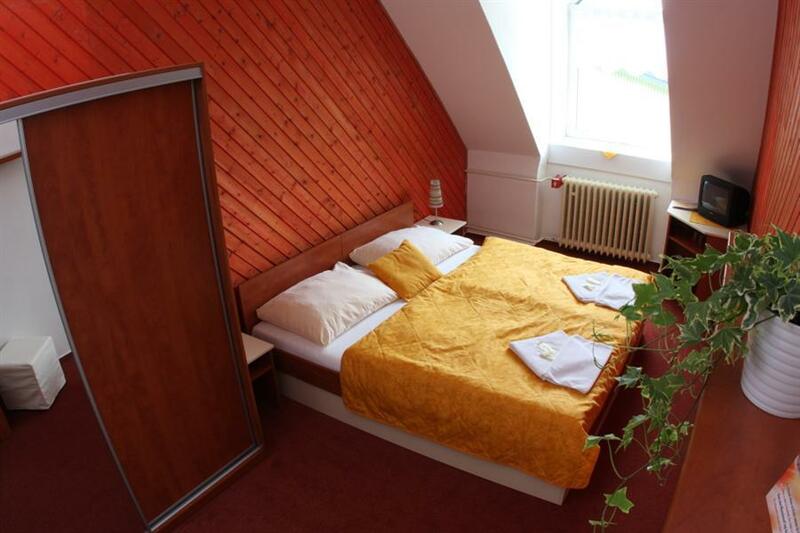 This room is also availible in summer. It is used as a store room for bikes - for free. Hairdryer and safe are for free for hotel guests at the reception desk. Towels are changed after three days of stay and daily cleaning is done every day between 10:00 and 15:00. If you do not know what to do with your free time, please contact our reception, we will give you information and advices.